Video editors will have some more tools in their arsenal and ways to be creative with a number of updates launched by Apple to Final Cut Pro X, Motion and Compressor, including new features for motion graphics and enhancements designed to accelerate video editing, packaging and delivery. Improvements to Final Cut Pro 10.2 include the introduction of 3D titles, improved masking for colour grading and effects, native support for more camera formats, and GPU-accelerated RED RAW processing. Motion 5.2 supports the new 3D titles by allowing users to create custom materials and environments they can instantly publish them to Final Cut Pro X. And Compressor 4.2 allows creative professionals to more easily package their movie creations for sale on the iTunes Store. The new 3D titles tool in Final Cut Pro 10.2 makes it easier for video editors to create 3D titles and includes simple and cinematic templates with built-in backgrounds and animations. 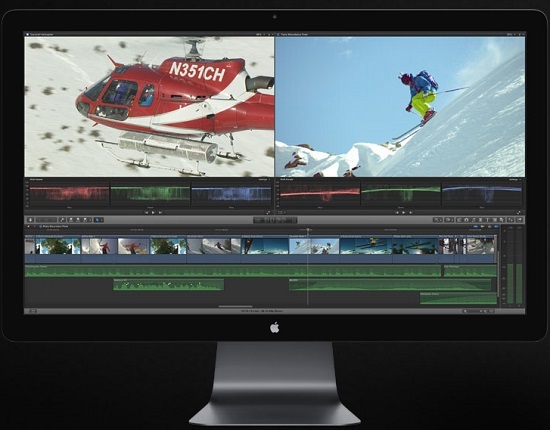 The updated Final Cut also allows editors to view up to four video scopes simultaneously and includes improved Shape masks on any effect that, for quicker access later, can be saved as a preset. And to allow video to be more easily imported, support for more video formats, such as AVC-Ultra and Sony XAVC-S, has been added. Final Cut Pro 10.2 is priced at $349.99, Motion 5.2 at $57.99 and Compressor 4.2 at $57.99, and all three are available now for purchase or as a free update for existing customers.